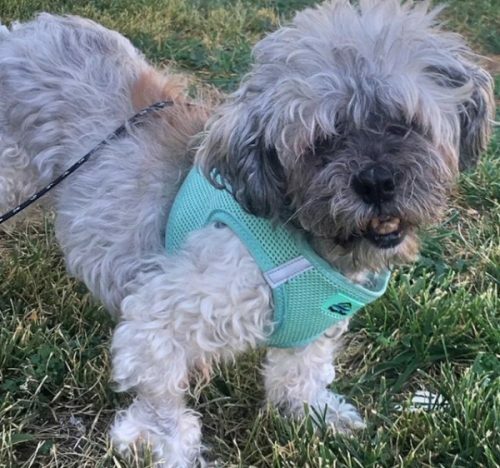 Gentle Senior Man Who's Been Searching for You! Grandpa is extremely easy going; nothing at all phases him! If you are looking for a cuddle buddy, this is your senior guy. He is happiest on your lap. He gets along great with other dogs as well as cats. He loves adults and children. He has a great appetite. He loves his soft baby blanket to sleep on; enjoys leisurely strolls. He even enjoys his baths! He wants a great life to live his senior years.